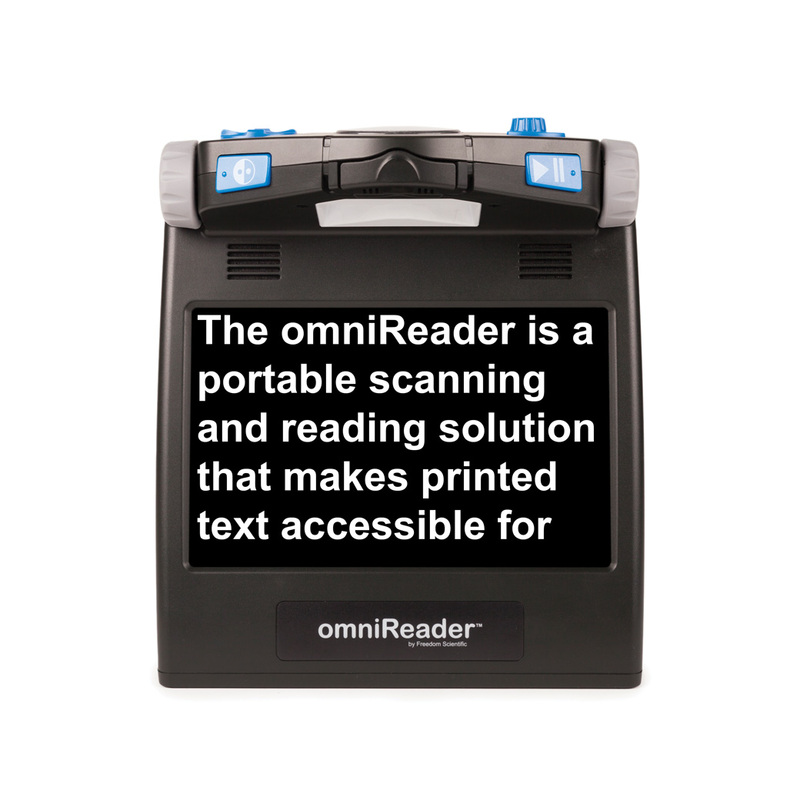 The omniReader® reads printed text to you by pressing a single button. You can follow the magnified text in high-contrast colors on the built-in screen, or simply listen as the omniReader reads text out loud. You can also use the screen to instantly magnify objects and text and display them in high-contrast colors to see them more clearly. Thanks to its lightweight design, built-in handle, and long battery life, you can pick it up and use it wherever you want – at home, at the office, and even on-the-go. 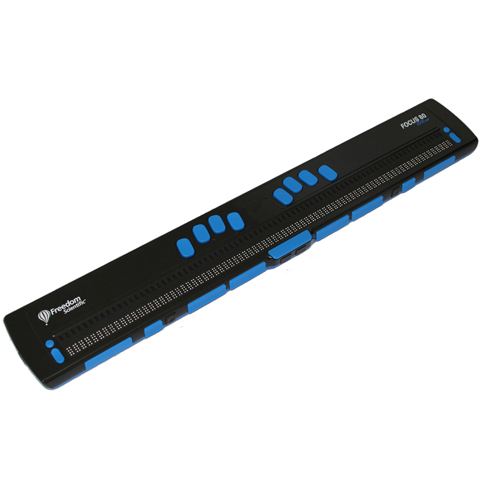 Freedom Scientific proudly introduces the omniReader® – a Portable Scanning and Reading Solution with a Built-In Display. 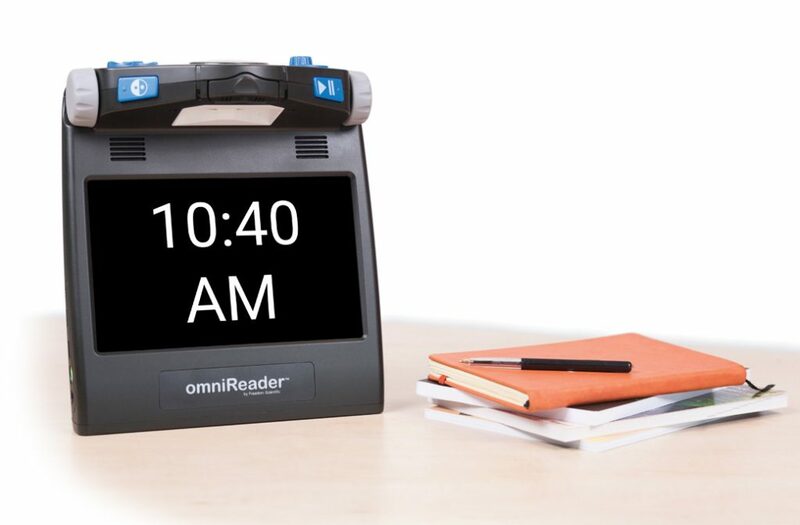 The omniReader® is a lightweight, portable scanning and reading solution that helps those who are blind or have low vision retain the pleasure of reading. 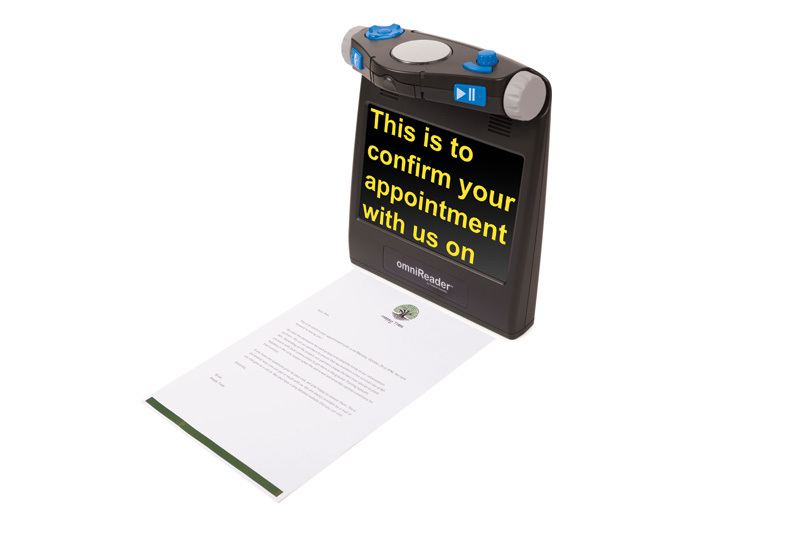 Simply press a button and the omniReader® reads printed text aloud or you can follow along with the magnified text in high-contrast colors on the built-in screen. 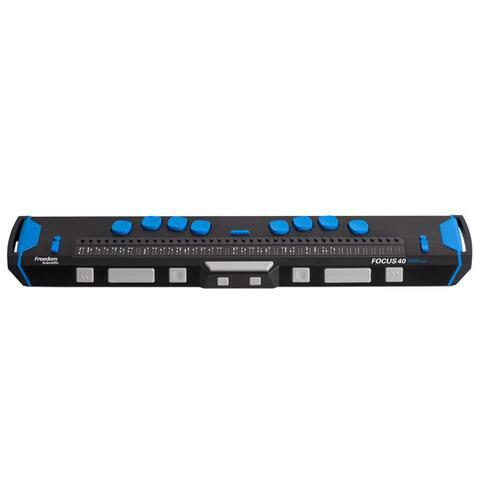 You can also use the screen to instantly magnify objects to see them more clearly. Thanks to its lightweight design, built-in handle, and long battery life, you can pick it up and use it wherever you want – at home, at the office, and even on-the-go.